Those that know me well would not dispute that my number one love is animals. 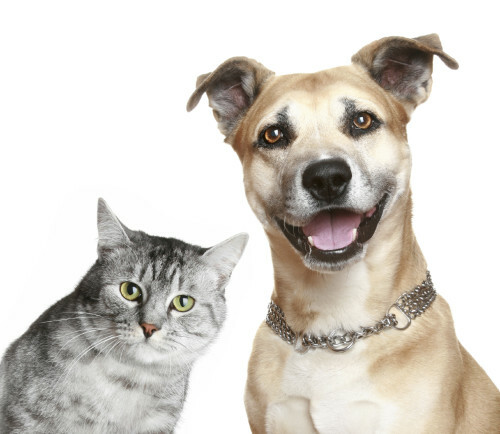 I'm fortunate to work with a modality that is as helpful for humans as it is for pets. Bioenergetics has helped several pets heal even after their traditional veterinarians had run out of options. I recommend watching your pets closely for changes and balancing their health naturally well before it requires emergency medical attention. My intention with sharing these pet testimonials is to spread the word about the effectiveness of this approach and to help more animals heal by supporting their systems from the inside out. Pets may be small but their energy bodies are strong; so they usually show signs of improvement within 1-4 days! This approach is non-invasive and costs a fraction of most vet bills. When pets are treated to natural healthcare, supplements and are given great quality species appropriate food, vet visits tend to be few and far between. Common symptoms that I see pets for are digestive issues (gas and vomiting) as well as itching, weight loss or gain and skin issues. 15% of every session with a pet is donated to needy animal organizations. So you help others while you help your own! "The vet told me Abby had lost two pounds in weight. The vet did blood work and was surprised to see that Abby's major organs were doing very well but she had a bladder infection which was successfully treated. Abby was still losing weight. Since Jocelyne discovered the problem with Abby’s digestion and corrected it, my little cat began to improve slowly but surely and gained the two pounds back that she had lost. I am profoundly grateful to Jocelyne for her treatment and cannot thank her enough for without her intervention, Abby would not be alive and well today. I would like to add that three years ago Abby was preparing to die and unfortunately the vet was unable to do anything. I learned of Jocelyne and her wonderful work from a friend and she was able to treat the severe allergy that was the problem and Abby immediately improved and became her happy self once again." "I took Scotty my Yorkie dog to see Jocelyne because he broke out in hives all over his body. His eyes were swollen and he had huge welts on his tummy and chest area. We discovered Scotty had become allergic to his food. Jocelyne did one session on him and now he tolerates his food with no reaction. Within 24 hours my little man’s skin was back to normal and he was running around chasing his ball. Thank you Jocelyne." If your pet has symptoms, Contact Us and give Bioenergetics a try. If you know of someone who has a pet with health issues, please pass along this wonderful testimonial.